Intel is concentrating its mobile efforts on Android at the moment, but that won't necessarily be the case in the future. 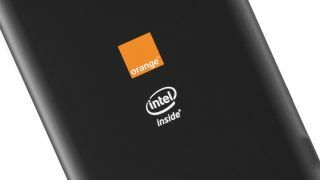 The launch of the Orange San Diego sees the first handset with Intel inside to reach Europe and it comes running Google's Android mobile platform. Speaking to members of the press, Mike Bell, Vice President Intel Architecture Group said: "For phones right now, the majority of our efforts are on Android, because that is what people are asking for. "We're not opposed to looking at other things, but a customer would have to come to us and ask for it and all the customer is asking for at the moment is Android." Intel does have a get out of jail card if the current mobile OS market was to take a turn for the worst, and it comes in the form of Tizen, as Bell reveals Intel has a dedicated team working on it. Bell went on to say: "Intel has an effort around Tizen, and it's interesting to me in that you hear a lot about the possible consolidation in the OS space, and we do have something in our back pocket should that happen, but I don't see it happening. "I think there are some interesting things you could do with Tizen and I would never rule it out it, but at the moment our customers are asking for Android." So Intel has got something stowed away for a rainy day, but until the heavens open it's quite happy to bang the Android drum for now, until its customers dictate otherwise.